尹德, 叶盛波, 刘晋伟, 等. 一种用于高速公路探地雷达的新型时域超宽带TEM喇叭天线[J]. 雷达学报, 2017, 6(6): 611-618. DOI: 10.12000/JR17004. Yin De, Ye Shengbo, Liu Jinwei, et al. Novel time-domain ultra-wide band tem horn antenna for highway gpr applications[J]. Journal of Radars, 2017, 6(6): 611-618. DOI: 10.12000/JR17004. Abstract: Based on transmission line theory and impedance transition, we design an ultra-wideband Transverse ElectroMagnetic (TEM) horn antenna that takes advantage of index gradient structure and loading techniques and is optimized for highway Ground Penetrating Radar (GPR) applications. 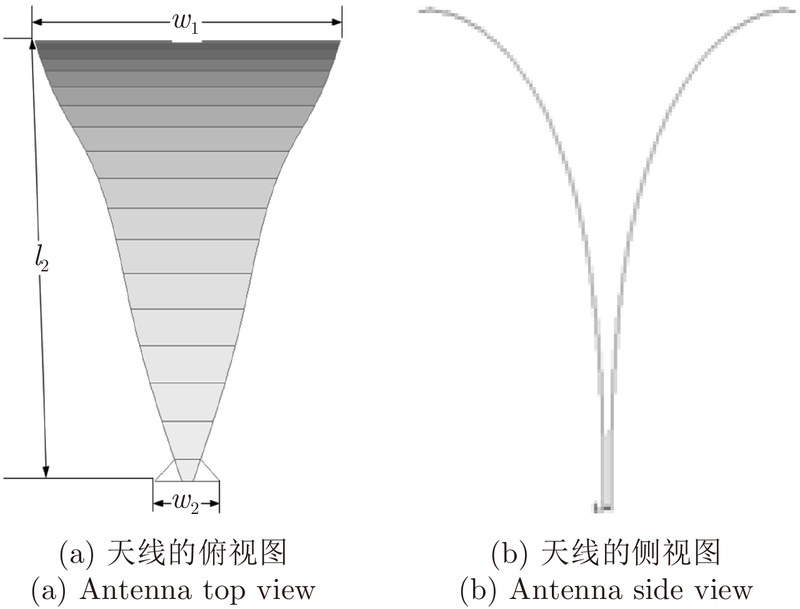 We use numerical simulation to analyze the effects of different curved surfaces as an extension of the antenna and further improve the antenna performance by the use of a metallic reflective cavity and distributed resistor loading. We then fabricated an antenna based on the optimization results and determined the Voltage Standing Wave Ratio (VSWR) of the antenna to be less than 2 for bandwidths ranging from 0.9–12.6 GHz. The waveform fidelity of the antenna is also good and when we applied this antenna to highway scenarios, it achieved good results. 邓超, 谢拥军. 平面渐变开槽天线的改进设计[J]. 重庆邮电大学学报(自然科学版), 2011, 23(1): 48-52. 纪奕才, 贺秀莲, 刘其中, 等. 加载螺旋天线的优化设计[J]. 西安电子科技大学学报(自然科学版), 2002, 29(6): 721-724, 780. 郭玉春, 史小卫. 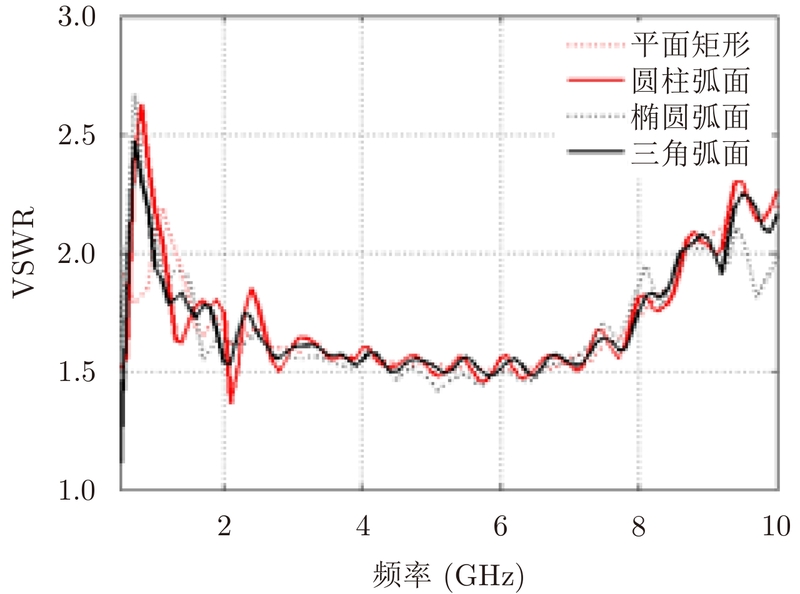 高效电阻加载天线理论研究[J]. 电波科学学报, 2007, 22(2): 276-280. 吴秉横, 纪奕才, 方广有. 带反射腔的分布式电阻加载探地雷达天线设计与分析[J]. 雷达学报, 2015, 4(5): 538-544. 刘培国, 刘克成, 何建国. 恒束宽双极化加脊喇叭天线设计[J]. 微波学报, 1998, 14(3): 233-237. 王友成, 邵金进, 纪奕才, 等. 末端开槽超宽带天线的研究[J]. 电波科学学报, 2015, 30(3): 510-516. 夏正欢, 张群英, 叶盛波, 等. 一种便携式伪随机编码超宽带人体感知雷达设计[J]. 雷达学报, 2015, 4(5): 527-537. 梁福来, 李钊, 安强, 等. 脉冲式超宽带生命探测雷达时间抖动抑制[J]. 雷达学报, 2015, 4(4): 439-444.